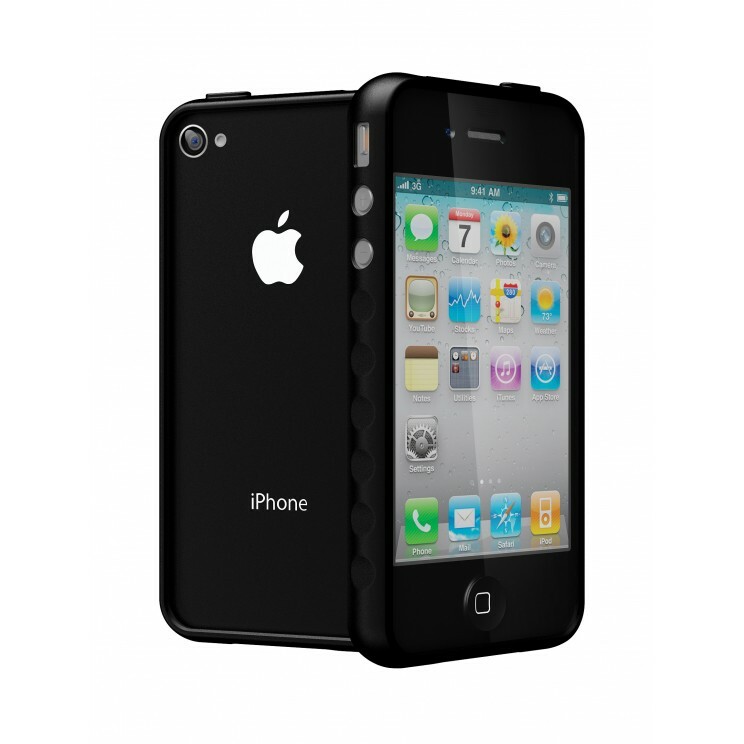 This case from Cygnett has been designed for two reasons, heavy duty protection for your iPhone 4 or iPhone 4S and a clean look for your Smartphone. I must admit that when my editor gave me this case to review for my iPhone 4S, I was a little bemused at its design. Unlike most cases that have a back, the AeroGrip Edge doesn't. Hmm... I thought to myself, we have conundrum here! The AeroGrip Edge is a tight fitting case which protects all the edges of the iPhone and is slightly raised as well which means if it falls, the case will absorb the shock thanks to its shock-resistance technology. Hopefully the screen as well! Another positive of the case is that it contains the patented AeroGrip Edges which ensures additional grip while using the phone. It actually does feel good in your hand and more importantly, it's quite easy to install on your iPhone. You basically slide the phone into the case and presto, the installation is done. The product also comes with a screen protector which is the trickiest part of the installation which requires you to clean the screen with the cloth that comes with the case. Once the case is clean, you just peel off the first layer of screen protector and then position it on your iPhone screen. Once done, you peel off the last layer and the screen protector is installed. Viola! However the conundrum of this case is that the back of your iPhone is not protected which means if you put your phone in your pocket or a handbag, it may scratch the back of your case. In an ideal world, the AeroGrip Edge would have a back but interestingly enough, it's actually quite cool seeing the back of your iPhone 4S. Given that, the product does come with a 2-year manufacturer's warranty and three colours that include black, grey and red. If you're a clumsy iPhone user but still want to see your stylish iPhone without some of those clunky cases than the AeroGrip Edge is for you.